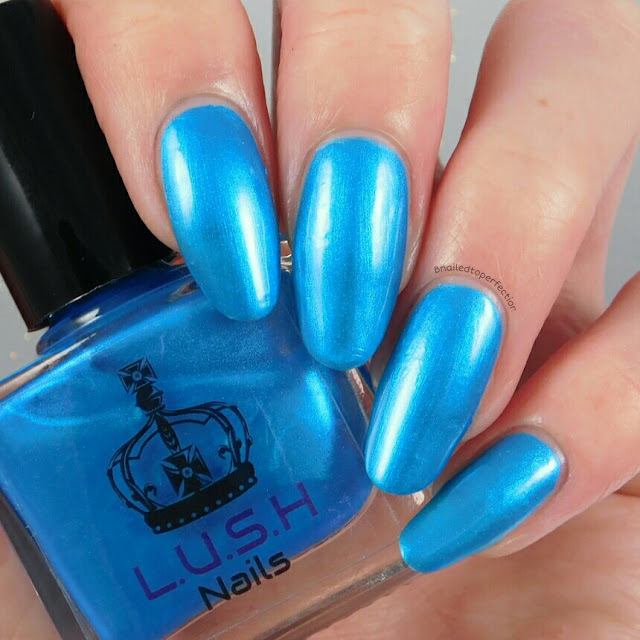 I love to hear about UK indies so I was over the moon when Eirene of L.U.S.H Nails asked me to swatch and review some of her polishes. 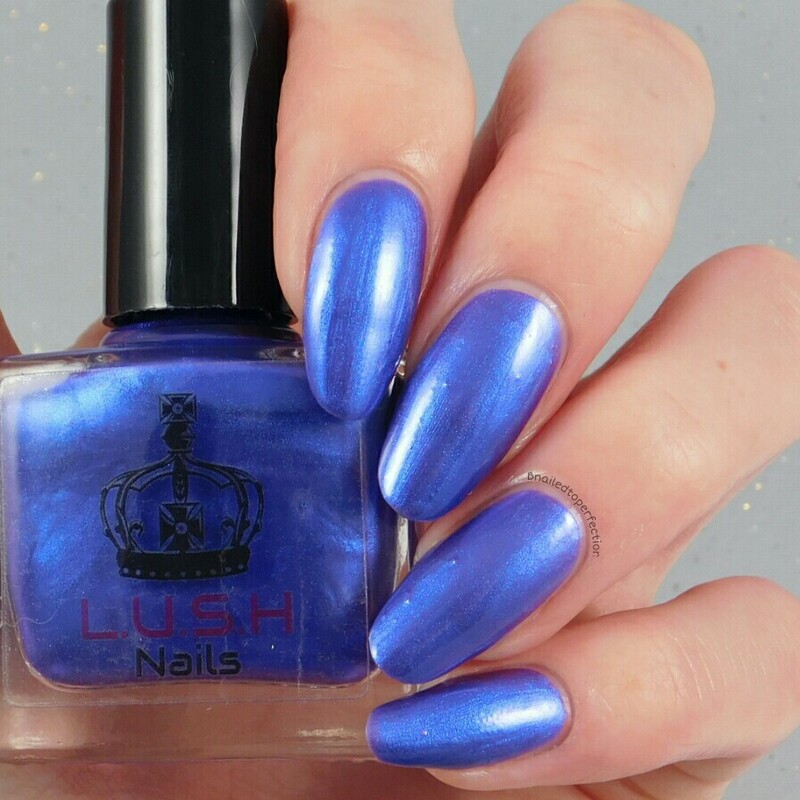 L.U.S.H Nails is a new UK indie polish maker and her polishes are cruelty free and 5 free so they don't contain the 5 harmful chemical found in everyday nail polish. There are over 100 polishes available with lots of different finishes. Let's get into the swatches! The first polish I tried was this stunning cobalt blue which is a mica powdered polish. I am in love with this blue. This is three coats without top coat. The next mica powdered polish is a violet blue and this is 2 coats with no top coat. I also love this colour and it's got such a gorgeous finish. 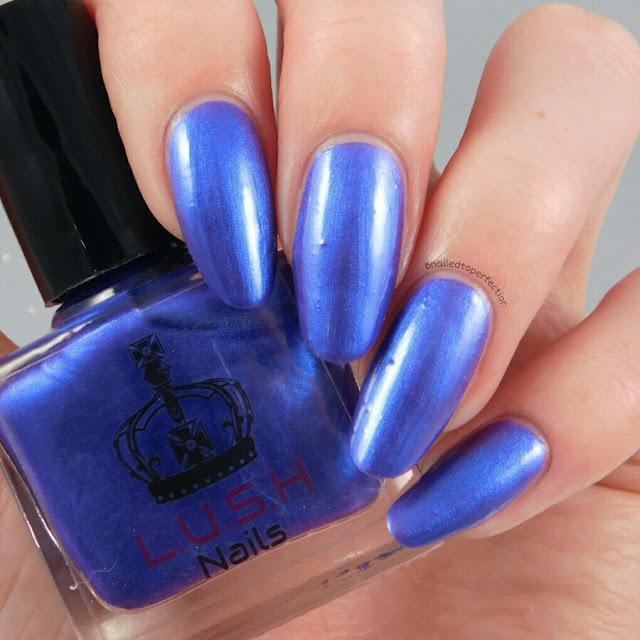 It's more blue leaning in the bottle to me but when it's on your nails that violet really pops! The last of the mica powdered polishes is this midnight amethyst. I only did 2 coats for this swatch as it looked opaque when I did it but now looking at the pictures I should have done 3 as you can slightly see my nail line still. Now on to something sparkly! This is a raspberry metallic glitter polish from the metallic glitter nail polish section. I painted on the first coat and then sponged over a further 2. 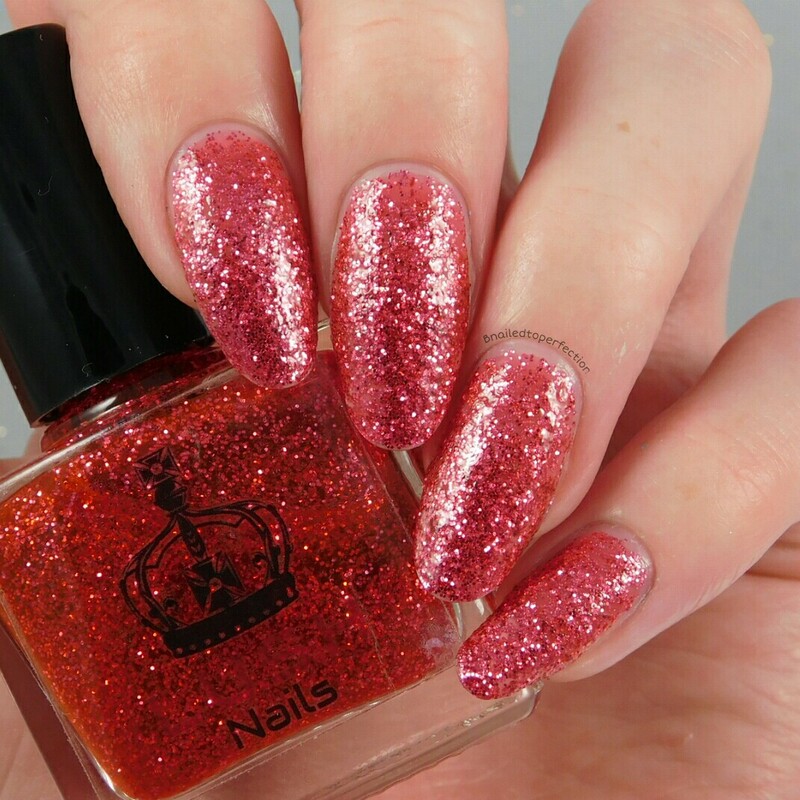 As glitter needs top coat to really shine I did add a top coat over this swatch but you will need two as it is top coat hungry! 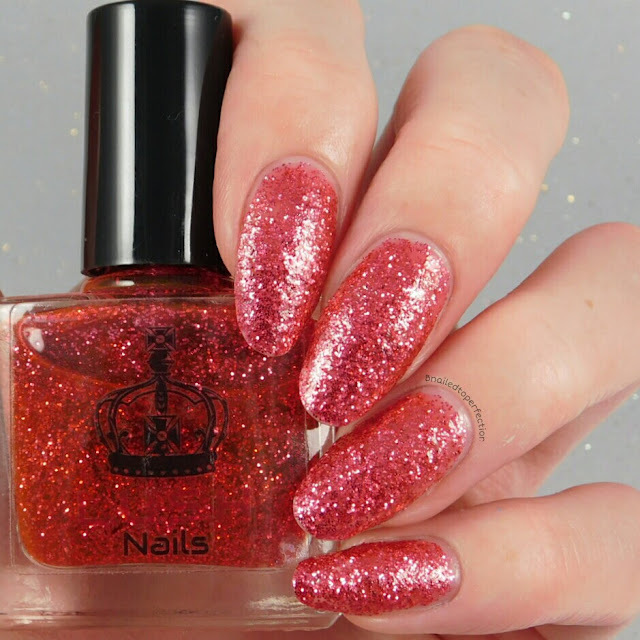 The last swatch I have to share with you is this gold pigmented silver holographic polish and it's from the holographic glitter polish section. . I applied the first coat and then sponged over a further 3 coats to gain better opacity. This would definitely be a great topper! I am so impressed with all these polishes. The mica powdered ones went on so smooth..just like butter and the glitter polishes are so sparkly. I would certianly reccomend these polishes! The best psrt is that the bottles contain10ml and they are only £3.99 each! If that's not great value, then I don't know what is! 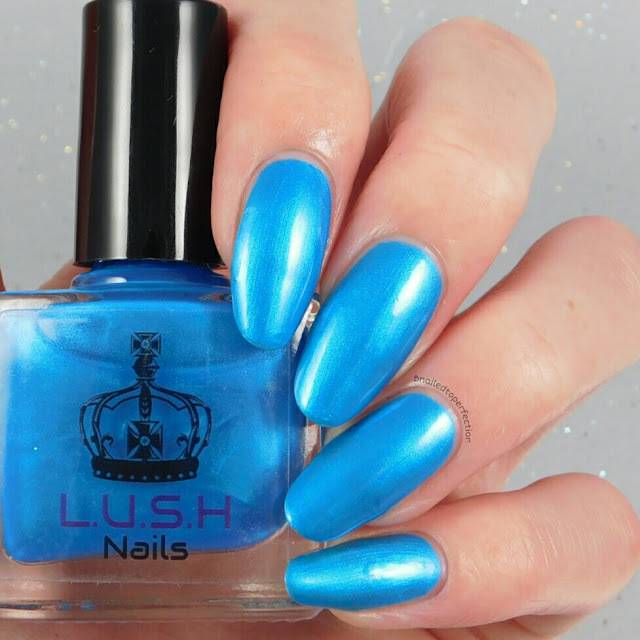 Make sure you check out L.U.S.H nails to see all the beautiful polishes available. What do you think of these polishes? Any favourites?